Keyboard players are a perfect choice for events of all types from corporate and community events, to birthday parties and weddings. They can provide a variety of sounds and styles of music. Electronic keyboards can synthesize unique sounds and multiple instruments, making it a great substitute for a full sized band. Keyboard players can provide a similar service as a piano player, but offer the convenience of portability that you can't get with a baby grand or upright piano. 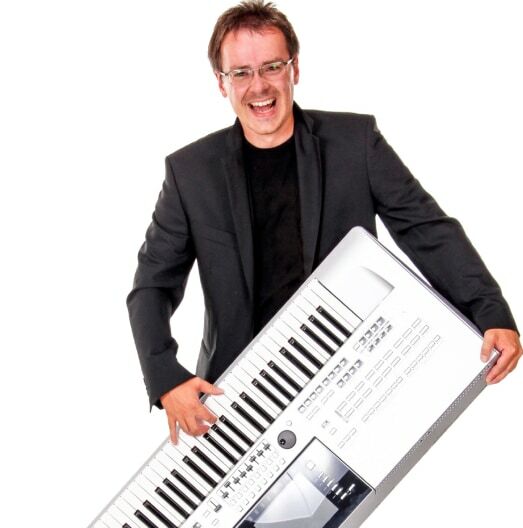 Search for Keyboard Players in Repentigny, Quebec above. Please note that these Keyboard Players may also travel to L'assomption, La Visitation-de-lIle-Dupas, Saint-Sulpice, Vercheres, Saint-paul-l'ermite, Charlemagne, L'epiphanie, LEpiphanie, Lachenaie, Calixa-Lavallee, Saint-Roch-de-lAchigan, Lavaltrie, Contrecoeur, Pointe-aux-trembles, Rivière-des-prairies, Saint-Amable, Montreal-Est, Saint-antoine-sur-richelieu, Crabtree, Saint-Alexis-de-Montcalm, Sainte-Julie, Saint-jacques, Boucherville, Sainte-Angele-de-Monnoir, Anjou, Saint-Marc-sur-Richelieu, Saint-Esprit, Saint-charles-sur-richelieu, Saint-Roch-de-Richelieu, and Saint-Ours.